Things have been a bit quiet on the Iron Builder front, and now I know why. 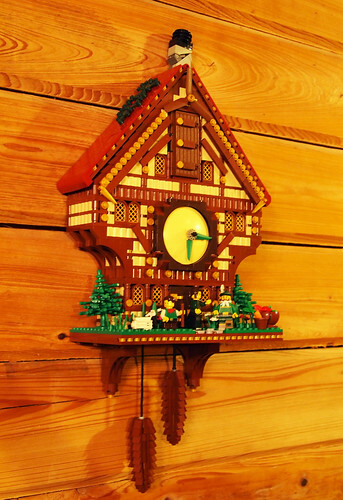 This extremely elaborate and realistic cuckoo clock proved to be a challenge for the brothers Falworth. But it was all worth the effort, because this is thing of beauty.